Lyn had always been an animal lover—at least of companion animals. Beyond that, growing up in Adelaide, South Australia, wild animals and farming animals didn’t figure in her life much at all. This was about to change. As a police officer in the South Australia Police Force (SAPOL), she was used to upholding the rights of citizens, rarely animals. Now, after nearly two decades in the police force, the Senior Constable had reached a point where she wanted to do more with her life but didn’t know what it would be. 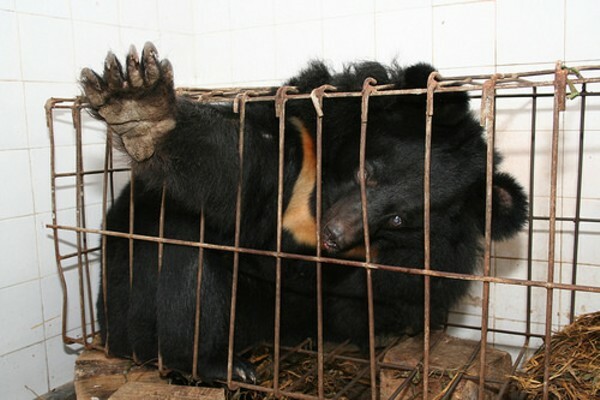 Then, one day while casually looking through an issue of a magazine she came across a photo of a caged bear in China. The article explained how Asiatic Black or Moon Bears are kept in appalling conditions to extract bile for use in traditional Chinese medicine. She was shocked and felt she must do something. She contacted the author of the article, British-born animal advocate Jill Robinson, who headed up the charity Animals Asia. Established in 1998, the aim of the organisation was to rescue as many bears as they could of the more than 11,000 in China and Vietnam suffering in this industry. Starting in 1998, White spent her vacation volunteering with Animals Asia in Hong Kong. By 2000 she had taken six-month leave from SAPOL to continue this work and by the end of 2001 had resigned to become Australian Director of Animals Asia Foundation. The animal welfare cause gained publicity in Australia, initially through media exposure of her fund-raising walk from Sydney to Canberra. The funds received greatly exceeded the target of $20,000. White and her charity also became noticed when she appeared in ABC TV Australian Story in May 2002. What she observed in China and Vietnam, however upsetting, was about to be dwarfed by what she learned about factory farming practices in Australia, especially caged poultry, pigs in crates and the calving of cows for milk production. I thought that Australia was a world leader in animal welfare only to discover that we had legalized, commercialized and in some cases industrialized animal cruelty and that most people, like me, didn’t know about. She came to realise that for 38 years of her life that, by her choices, she had been financially supporting these industries. This realisation would change her life forever. Lynlee Vanessa White is the third of four daughters of Ian and Nancy White. She grew up in the 1960s and 70s in the Adelaide suburb of Seacombe Gardens. Her father was a manager at Shell and an avid bush walker and nature lover. Her mother was a gifted musician and had plans for all the girls to follow in her footsteps. Lyn was the only one who didn’t continue with music, much to her mother’s disappointment. Lyn much preferred playing sport instead of playing the violin. White says she wasn’t exceptional at school. In fact, she admits she lacked self-confidence, never raising her hand to answer a question in case she got it wrong. If there was a word to describe me as a child, it would probably be ‘distracted’. I managed to get reasonable grades without paying much attention. I found that the question I was meant to answer at school didn’t interest me and the questions that did interest me weren’t part of the school curriculum. . . . I distinctly remember as a teenager being filled with self-doubt; I didn’t fit in. White jokes that she was inspired by the Charlie’s Angels TV show to join the police force. In 1979, for the first time, women were allowed to join SAPOL as police cadets from 17 years of age and go on to serve in general uniform police roles. During my policing career I would have attended just about every possible crime – from murders, to suicides, to rapes, to abductions. I saw some horrendous things. One of the most important lessons that I learned in my time as a police officer was the need to focus on the task at hand and control your emotions and just put them to one side. Her investigative skills and experience would be of enormous value in her new role as an undercover investigator into animal cruelty. White’s work with Animals Asia got the attention of the largest animal welfare organisation in Australia. Originally known as the Australian Federation of Animal Societies, Animals Australia was formed in 1980 by philosopher Professor Peter Singer and animal rights activist Christine Townend. As the peak body for 40 animal rights groups, their approach had been to lobby governments to legislate for the protection of animals, but it hadn’t worked. While many politicians were sympathetic to the cause, very little happened. The reason being, as academic researcher Gonzalo Villanueva notes, powerful vested interests presented opposing views and thwarted reforms. After joining Animals Australia as Communications Director in 2003, White’s first assignment was to document what happened with live sheep being sent to the Middle East. This trip was organised in response to the Cormo Express disaster in late 2003. The MV Cormo Express sailed from Freemantle, Western Australia, on 6 August with 57,937 sheep destined for Saudi Arabia. Upon arrival the Saudi Arabian government refused their landing on false claims that many had scabby mouth disease. After being rejected by some 30 countries, eventually the sheep were unloaded in Eritrea on 24 October. The three months at sea resulted in deaths to 10 percent of the sheep numbers and much suffering to the remaining live sheep due to heat and confinement. It’s been shown that the core temperature of sheep sent to the Middle East can be as high as 47ºC – enough to cook the animal. It’s a terrible ordeal for the animals at the best of times. They have a nightmare voyage, and then they get treated brutally after they land, as if they were just sacks of wheat rather than living, feeling animals. Every year or two, there is another major scandal . . . The federal minister says that he will implement reforms, but then . . . the same thing, or something worse, happens again. There had never been an independent assessment of the treatment of animals in live export destinations and so White flew to Kuwait in November 2003. Together with an investigator from the UK they spent eight days investigating the unloading of sheep from the livestock vessel MV Al Kuwait and their movements thereafter. Vision was taken of dead sheep on arrival and of one that had become blind during the two-week sea voyage from Freemantle, Western Australia. But the most disturbing video footage was the handling and slaughtering activities that followed. Upon returning to Australia, Animals Australia lodged an official complaint under Western Australia’s Animal Welfare Act. Obviously, it’s a publicity stunt. I just don’t understand how they can continue to go about obstructing the legal business of a legitimate business. This time, instead of going to the politicians, Animals Australia went to the media. The first public airing of the video footage was through a 60-Minutes TV program broadcast on 28 March 2004. The responsive from viewers to the disturbing vision of animal suffering was quick and vocal.
. . . if a decision were to be made on the future of the trade purely on animal welfare grounds, there is enough evidence to stop the trade. The trade is, in many respects, inimical to good animal welfare. However the report also acknowledged that the economic reality meant that it was not likely to be brought to an end in the short-term, recommending improved animal welfare standards and a long-term strategy to phase out live exports. One would have thought that conditions would have improved after these assurances by MLA and LiveCorp. But they got worse. In Kuwait, Ms White observed slaughter practices at the Shuwaikh abattoir. These involved dragging sheep to the slaughter floor and throat cutting while conscious. Ms White also observed cattle being manhandled by teams of slaughtermen, who pulled the animals to the ground before their throats were cut. She saw many instances of multiple cuts being required. Sheep were also seen being slaughtered in private places, including in the communal toilet of a boarding house. Sheep were also observed bring trussed and carried in car boots in Kuwait. Regular visits by independent investigations carried out by Animals Australia to Middle East countries since 2003 have seen the pattern of abuse continue. Millions of animals have died en route. These are probably the lucky ones. Many people living in these countries with long-held beliefs of acceptable ways to treat animals now believe Australians approve of their methods because there is no shortage of the supply of livestock from Australia. The export industry response is that they are doing everything they can for animal welfare but it takes time for change to occur and if Australia didn’t supply these animals, then another country would. On 26 February 2006 a 60-Minutes program again focused on live exports to the Middle East, this time showing appalling mistreatment of Australian cattle in the Bassateen abattoir in Cairo, Egypt. The next day, Agriculture Minister Peter McGauran announced an investigation into the claims and an immediate ban on live cattle exports to Egypt in the meantime. The industry claimed the cattle were not from Australia. The ban would be lifted two years later. It blows me away how gutsy she is because she’s taking huge risks. She gets into these places with a hidden camera with men with big knives and axes who don’t know her. I mean, she could disappear in an instant. One person who does appreciate what Lyn White has done in the Middle East is Princess Alia bint Al Hussein, the eldest child of the late King Hussein of Jordan and half-sister of King Abdullah II, the current monarch. After reading the responses of people who had viewed the Australian video footage of “some truly UNhalal slaughter”, Princess Alia saw the vision herself and vowed to take an active role in righting the situation. Set up with the help of Lyn, the initial focus of the Princess Alia Foundation was for improved practices in slaughterhouses in Jordan, later to address the welfare of animals in zoos and the illegal trade in wildlife in the region. The investigation by White in March 2011 would shock Australia and the world. Something wasn’t adding up and Animals Australia wanted to see a truly independent investigation take place. On the very first night, when I saw an animal having its leg tendon slashed and being terribly abused in what was an Australian-designed restraint box, I knew that we had really the evidence necessary to potentially stop the trade to Indonesia. Other vision captured during the stay showed a failure to stun cattle prior to slaughter as well as the kicking and hitting of animals. Around 11 hours of vision was gathered. Videoing these scenes was not covert and the workers had no objection to them being present. But it was harrowing work and took a big toll. When White returned to Australia she was mentally and physically drained. “I didn’t think that I could ever see anything worse than I have witnessed in the Middle East,” she said in a later interview. After White returned to Australia at the end of March 2011, ABC Four Corners was approached with the evidence Animals Australia had obtained. When the producer, Michael Doyle, and reporter, Sarah Ferguson, first saw the images they knew immediately there was a very powerful story potentially. Together with researcher Anne Worthington and cameraman Erik Havnen the team spent the next two months visiting Indonesia, interviewing key industry figures and putting the program together. Their policy is to do independent research of their own and not simply take what other parties may provide them. On the very first night of their nine days in Indonesia they visited an abattoir on the outskirts of Jacarta. They found the scenes to be deeply shocking. Everything they saw in Indonesia verified what Animals Australia had shown them. There’s a well known saying in television, “If it bleeds, it leads.” But it’s not true for animals as it’s too disturbing for viewers. Ferguson knew it world not be a high-rating program, “It’s a very demanding subject for people,” she says. Tonight we present a program that will shock you. Some people are bound to find parts of it difficult to watch, as indeed I did. But this is a story that demands to be seen and heard. Michael Doyle, the producer, thought the program would “create a ruckus for a few days” and then die off. He was mistaken. The relatively small audience of 494,000 metropolitan viewers was immediately active on social media calling for live cattle exports to stop. The next day, the RSPCA, Animals Australia and GetUp! websites crashed under the load. Over 35,000 Australians singed a petition to the Government to stop live exports, which grew to over 200,000 in three days. It was also the major topic on talk-back radio with 800 callers in the next 48 hours. Some of the callers were not complimentary. One caller condemned White for not intervening and stopping the slaughter. Some Members of Parliament said they had never seen this level of correspondence on any previous issues. Lyn White, of course, was in great demand from the media. Over the next few weeks she would do over 100 interviews. A week later, Federal Agriculture Minister Joe Ludwig suspended live on exports to the 11 Indonesian abattoirs in question. This ban was lifted, subject to conditions, on 6 July. For the cattle producers in northern Australia, whose livelihood depended on these exports, it was a disaster. The focus turned to the “un-Australian” behaviour of White, Animals Australia and the ABC Four Corners program for exposing these issues. But it was the behaviour of MLA and LiveCorp in hiding the truth from the cattle producers, and the public, where the fault clearly lies. The impact of the ban has been long lasting. Little compensation has been given to the cattle producers and other parties affected by the ban. Class actions were issued against the Commonwealth by cattle producers in 2014 and are unlikely to be resolved before 2020. In November 2011, the Four Corners team was awarded Australia’s highest award for journalism, the Gold Walkley, for their program on Indonesia. The Animals Australia strategy in taking their vision to the media had the desired effect of rousing the population to make their opinions known to the politicians who, for years, had acknowledged there were animal welfare issues but failed to take decisive action. The struggle is not over. The work by Animals Australia continues with 61 investigations to date into animal welfare issues with live exports in a range of countries. As with the story of Judy Courtin, Lyn White’s life is model of how one can follow the Can-Do Wisdom path. Firstly, she has a clear purpose in carrying out this difficult work. Being an experienced investigator, she knows the value of pictures as evidence of truth. She’s then very strategic in her thinking to make effective use of her communication skills and use of the media in bringing her message to the public, who, in turn put pressure on politicians for change to occur. To carry out investigations into Australian animals across the globe, each more distressing than the last — to witness and document horrendous events while maintaining her outward cool and doing the only thing which can make a difference—putting the situations to the public with documented proof — and through it all to maintain objectivity, clarity, fair mindedness and humanity … I am simply in awe of her. Lyn White has come a long way from being the shy, retiring teenager and police cadet. Today she can be found in front of a large audience speaking for 90 minutes without a note or teleprompter, describing her life experience, her philosophy of life and what happens when you ask the question, “Why?”. 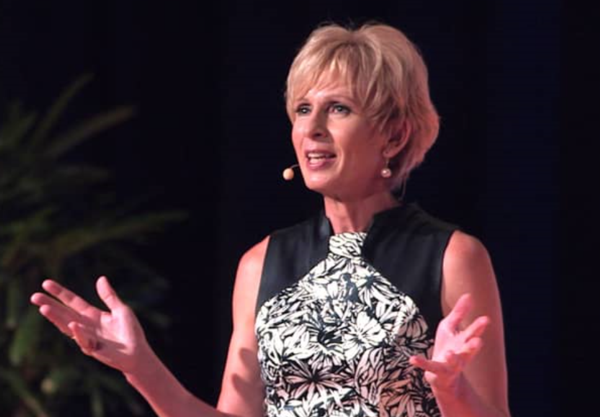 Her fascinating presentation, Becoming the best we can be — an evening with Lyn White, is a must-see video. “Australian Story – The Liberator: Lyn White,” IMDb, http://www.imdb.com/title/tt4167680/. Animals Australia, “Becoming the best we can be — an evening with Lyn White [FULL PRESENTATION],” YouTube Video, 1:41:00, February 3, 2015, https://www.youtube.com/watch?v=J1qhGxQxmZA. Roy Eccleston,.”Saving Their Bacon,” The Advertiser, November 27, 2010. ProQuest document ID 812196466. Sam Kelton, “What was life like for SA’s first female cops?,” The Advertiser, April 27, 2015, http://www.adelaidenow.com.au/news/south-australia/what-was-life-like-for-sas-first-female-cops/news-story/b1e6f00debd310fa8f9561ae0c17f871. “The Razor’s Edge,” Australian Story, Transcript of TV program broadcast on April 23, 2012, http://www.abc.net.au/austory/the-razors-edge/9170376. Gonzalo Villanueva, A Transnational History of the Australian Animal Movement, 1970-2015 (Cham, Switzerland: Palgrave Macmillan, 2018), 80. Nikki Barrowclough, “Overnight, whistleblower vet Lynn Simpson became a pariah – and then she all but vanished,” Good Weekend, September 8, 2016, https://www.smh.com.au/lifestyle/liveexport-whistleblower-vet-i-wish-now-id-shot-more-20160901-gr6fka.html. Michelle Grattan, “Sheep onboard a national shame,” The Age, September 24, 2003, https://www.theage.com.au/articles/2003/09/23/1064082991895.html. David Weber, “Animals Australia claim possession of live sheep trade video footage,” PM, aired December 18, 2003 2012 (Sydney: Australian Broadcasting Corporation, 2012), Radio broadcast, http://www.abc.net.au/pm/content/2003/s1013085.htm. “Sixty Minutes – 28th March 2004 – Transcript: End of the line,” Live Export Shame, http://www.liveexportshame.com/60_minutes3.htm. “Animal handling workshops to begin in Kuwait,” MLA News centre – Media releases, March 29, 2004, https://web.archive.org/web/20060824154425/http://www.mla.com.au/TopicHierarchy/News/MediaReleases/Animal+handling+workshops+to+begin+in+Kuwait.htm. Villanueva, A Transnational History, 93. “Conversation with Jesse Marks, Animals Australia,” Animal Charity Evaluators, August 18, 2015, https://animalcharityevaluators.org/charity-reviews/charity-conversations/jesse-marks/. Parliament of Australia, “Senate Standing Committee on Rural Affairs and Transport – Submissions Received by the Committee – Sub. No. 326, Animals Australia,” July 2011, http://www.aph.gov.au/DocumentStore.ashx?id=cb51ba39-6a4f-4591-b012-502ffc90b0ff. “Live export: a chronology,” Parliament of Australia, Parliamentary Library, July 18, 2016, https://www.aph.gov.au/About_Parliament/Parliamentary_Departments/Parliamentary_Library/pubs/rp/rp1617/Chronology/LiveExport. “MENAW 2010,” Princess Alia Foundation, Update April 30, 2010, https://sites.google.com/site/princessaliafoundation/hot-news-1/headline1. Meat and Livestock Australia – LiveCorp, “Live Trade Animal Welfare Partnership 2009/10 – Indonesian point of slaughter improvements, Final report – Public Release, Indonesian point of slaughter improvements,” May 2010, https://www.stopliveexports.org/images/stories/TruthAboutLiveExports/indonesia.pdf, 30. MLA, “Live Trade Animal Welfare,” 8. MLA, “Live Trade Animal Welfare,” 45. Clive Phillips, “Animal exports: how the industry controls research to shut down debate,” The Conversation, June 9, 2011, https://theconversation.com/animal-exports-how-the-industry-controls-research-to-shut-down-debate-1750. 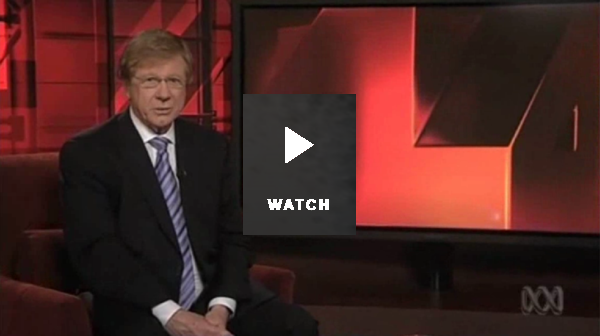 “A Bloody Business,” Four Corners, Transcript of TV program broadcast on May 30, 2011, http://www.abc.net.au/4corners/4c-full-program-bloody-business/8961434. Sarah Ferguson, “ABC tells its side of live trade story,” Queensland Country Life, June 22, 2011, https://web.archive.org/web/20110627190130/http://qcl.farmonline.com.au/news/state/livestock/cattle/abc-tells-its-side-of-live-trade-story/2203537.aspx?storypage=0. Sally Jackson, “The power of a piece few could bear to watch,” The Australian, June 6, 2011, https://www.theaustralian.com.au/business/media/the-power-of-a-piece-few-could-bear-to-watch/news-story/5cf3429670bb8b2c1ce6930c8798b886?sv=4ad07c1a69ae118f94ebd6cb86d72145. “Lyn White AM – Director of Strategy, Animals Australia,” Animals Australia, http://www.animalsaustralia.org/about/lyn-white.php. Posted in can-do wisdom and tagged animal cruelty, animal welfare, indonesian abattoirs, live exports, lyn white, middle east live exports.